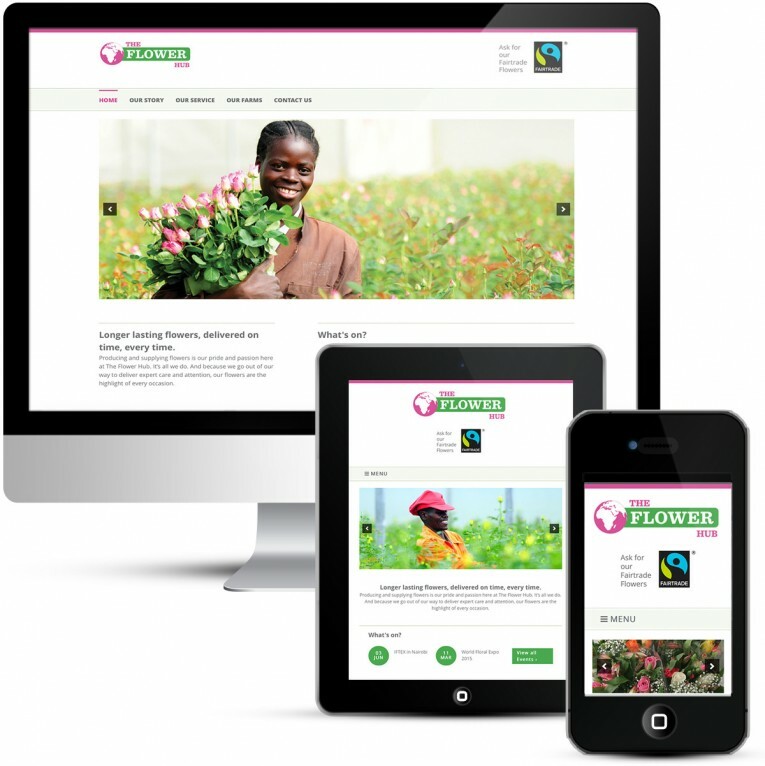 This is a custom corporate WordPress web design for an international flower distributor and grower. There is no doubt that one of the main keys to success as a web designer in this world is good communication. One of the biggest challenges I found when I was working in corporate life is that departments do not speak to each other, collaborate or try to help each other. This results in a very fragmented approach to customer service. I worked on a project to build a seamless process between sales and finance. For every quotation filed it was necessary to run a profit and loss model. So the sales department had to submit a form to the finance department and then it would be processed and a result returned … well in an ideal world. The reality was that the profit and loss model went into a queue. They were not processed in any particular order but priority based on the person who shouted the loudest or worse the person who was most popular with the finance department. Usually just down to buying a few sweets or cakes but that couldn’t be right. This is a multi-million pound global business, we cannot operate on a currency of french fancies! So the first thing we did was to implement a scheduling and workflow management system. This meant that projects must be handled in order of submission, no question. However staff in the finance department found a way around that mainly due to pressure from above at director level. They would get a call from a director because some submissions were theoretically more important than others, especially when it came down to multi-million pound accounts. This was the crux of the challenge. I took a step back and another look, there were six people in this finance department, all pretty much doing the same thing. They were processing expenses, processing profit and loss models and various other things. In the end it was obvious, it was all about ownership. Sales teams were split across business sectors, so all we had to do was to give each member of the finance team responsibility for a business sector. When a director wanted to process something quickly, their request would need to go via the finance director, it was amazing how quickly these requests lessened. At last we had a smooth running process. A single word in the paragraph above is what it was all down to. Ownership. When people take ownership they take more pride in their work. Equally there is always a designated point of contact for other departments so the lucky dip model disappears. Changing the culture to get people to take responsibility for mistakes and own up to errors is another story and a difficult one but things were better than they were. I was at the sharp end, having to keep some very large clients happy and manage their accounts smoothly. Customer service to me is not rocket science and boils down to delivering on promises and communicating well. That can be a huge stressful challenge when you rely on many other departments to bring it all together but in my business today there is just me so it is easy to control. My business ethics are simple, do what you say you will do and deliver on time without any fuss. Communicate quickly and effectively, always help whenever I can. Sometimes as a web designer I can find that I am expected to know a lot more than I do. I have been asked to fix printers, to explain the intricacies of Outlook email, help with a crashed laptop or troubleshoot an outage on a hosting service. I think when you have something to do with computers people expect you to know everything. If I had a pound every time I find myself Googling answers to problems that are above and beyond I would be a rich woman but I do it because I want to help. I take ownership. I guess the real education would be to help people with searching the internet themselves becuase that would be the biggest help in the long run. Perhaps I will think about that approach next time.